Are all peripherals directly connected to system bus? I think the front-side bus and memory bus is directly on the system bus, but what about the PCIExpress and PCI buses, are they directly connected to the system bus? Or do they just all connect to a hub or controller, and the hub or controller is connected to the system bus? There really isn't a "system bus" any more. This is like asking where the horeshoes are on a car. That image you provided is outdated. 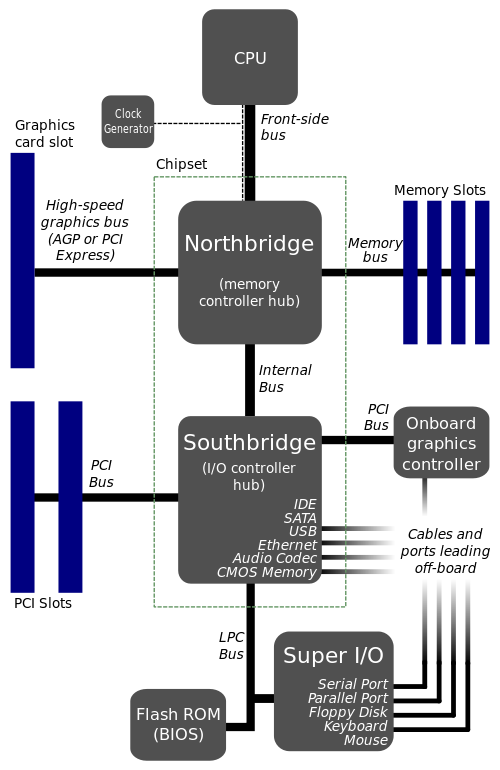 Modern architecture actually moved the memory controller from the North Bridge to directly on the CPU. Not the answer you're looking for? Browse other questions tagged memory cpu pci peripherals bus or ask your own question. Are SATA,USB, Ethernet, mouse, keyboard, serial/parallel ports connected to Southbridge via PCI bus? Does a x86 computer use the pci bus and pci protocols to access memory? 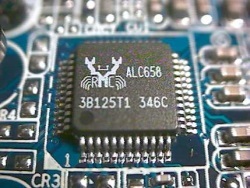 Is are the DDR RAM slot directly connected to the cpu address bus?